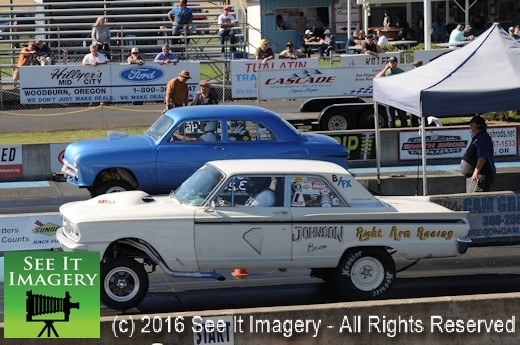 20 May Woodburn, OR – Woodburn Dragstrip opened in 1961 between two plots of farm land. 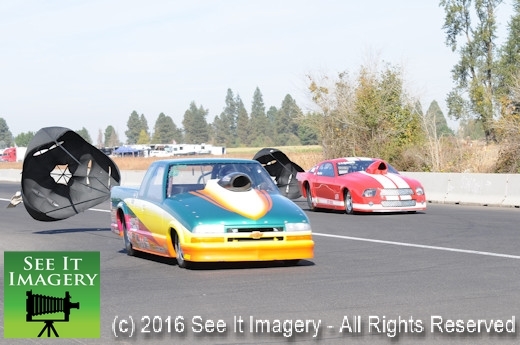 Today if expansion could be had they would as the grounds were packed with nearly 350 racers and tons of spectators for two days of season opening racing. 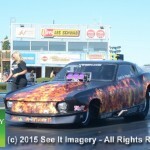 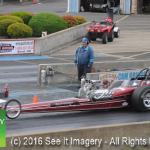 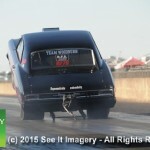 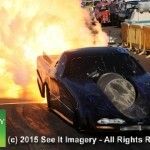 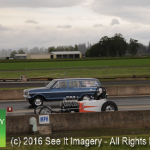 The event featured a dozen classes in sportsman racing along with AA/Supercharged, Pro Nostalgia, Top Alcohol Dragsters/Funny Cars and the Jet Funny Cars. 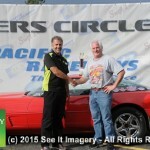 Jay Livingston was like an orchestra conductor making sure all the notes are in place and the event went smoothly and got finished on time. 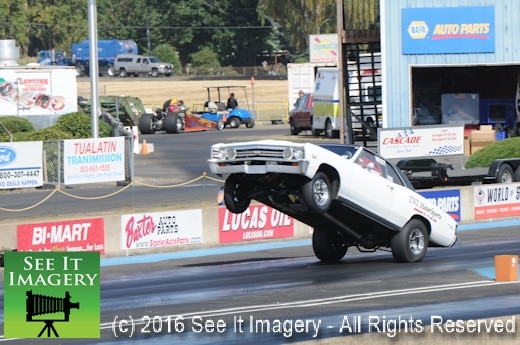 When something gets out of tune it’s not long before Jay got it back into harmony. 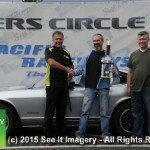 In the end a great job by “all” those involved no matter in what roll they played pulling off another “Season Opener”. 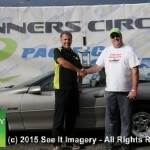 The winners for Saturday are Ian Theofelis in Jr. 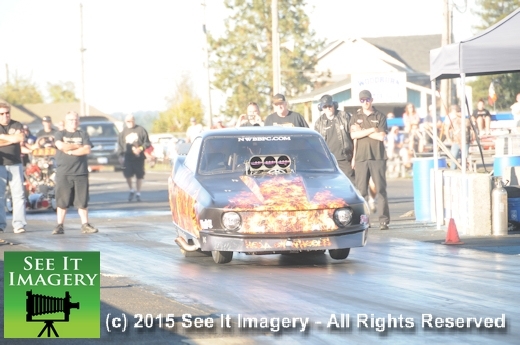 Lightning, Cole Dickhoff in Jr. Thunder, Dale Green in Super Comp, Allen Macham in Super Street, Bill Bushmaker in S/SS, Derrick Jackson in Sportsman, James Taylor in ET Motorcycle and Bob Osborne in Harley Eliminator. 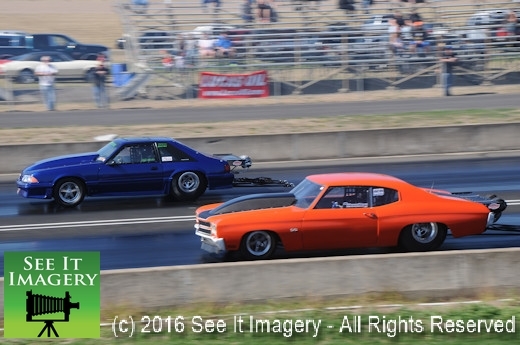 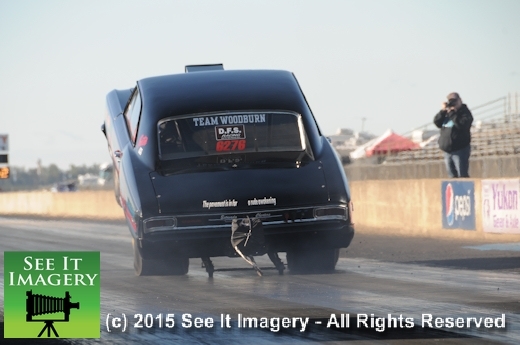 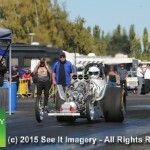 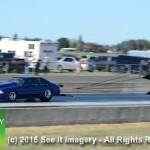 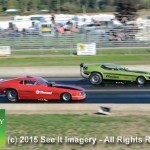 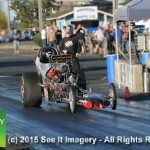 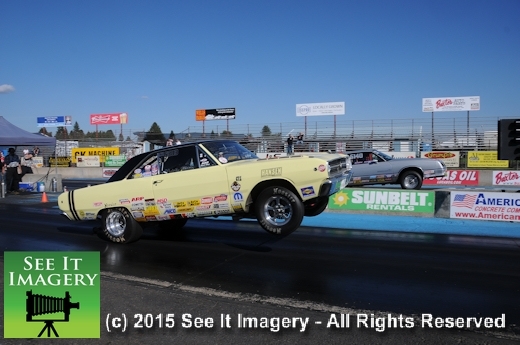 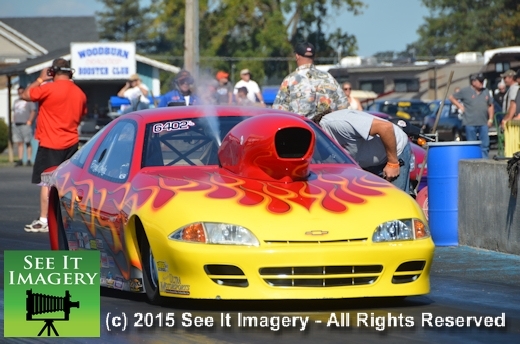 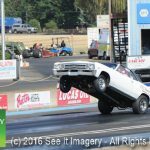 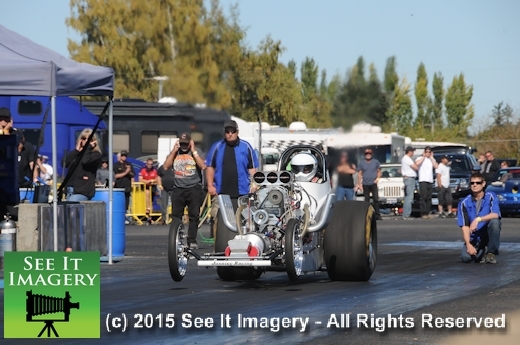 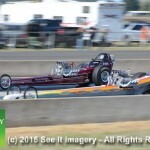 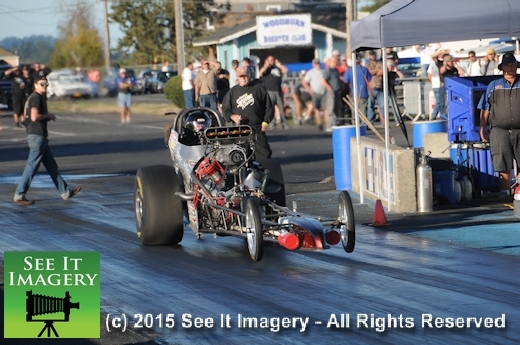 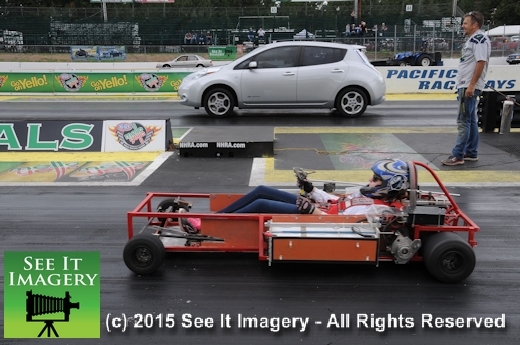 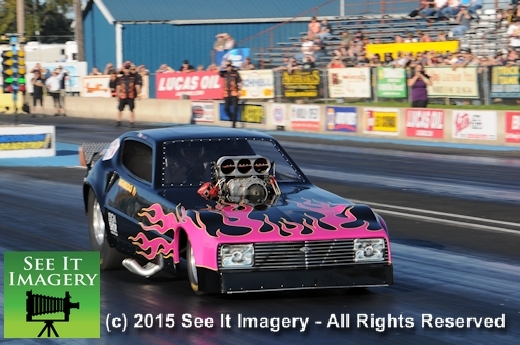 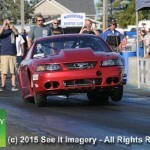 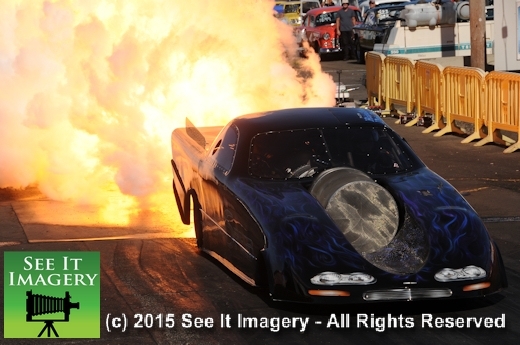 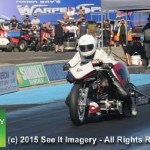 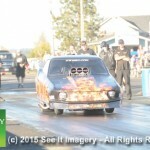 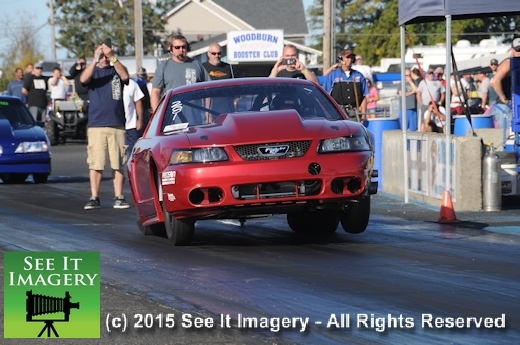 27 Sept 2015 Woodburn, OR – The end of the season event for a dragstrip tends to be bigger than most other times. 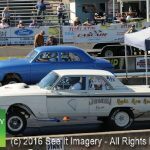 For Jay and Joey the co-owners of Woodburn Dragstrip, this date was planned and set up as any scheduled event during the off season as most of this is planned out. 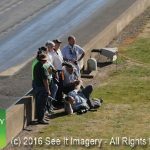 They are always looking or talking to the other track operators on their dates as two choices to a racer is mostly about cost. 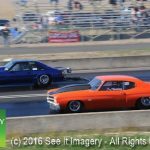 The annual fall classic did not get the way of other events; it is the 30th year for it says that they planned well. 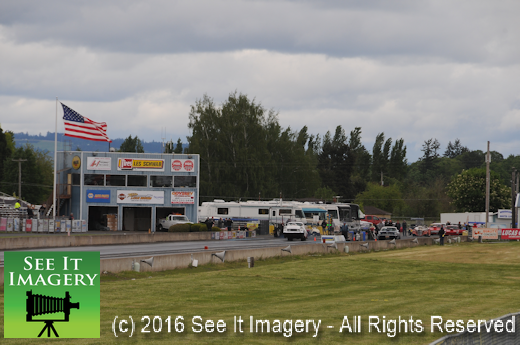 It is a favorite for many to attend either racer or spectator alike. 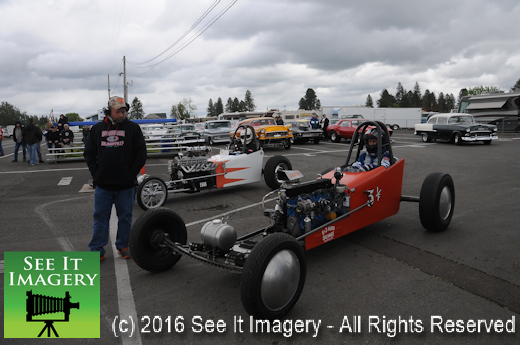 This showed in the pits with racers and the field spectator parking how many enjoy it and how popular it is. 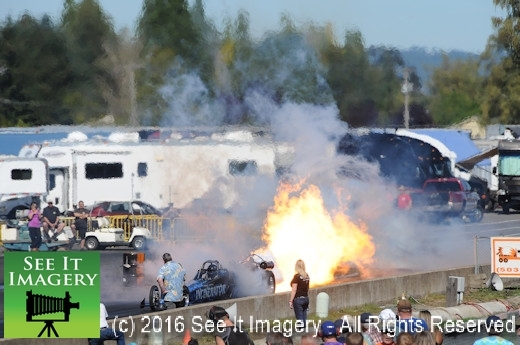 The unknown to all this planning is Mother Nature as she reared her wrath on a Nitro Harley and BB/Funny Car event thus the scramble to re-schedule it. 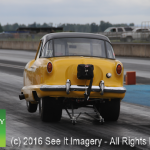 That turned out to be this weekend and the photographers talked about the number of and wide range of cars running that had never seen before here. 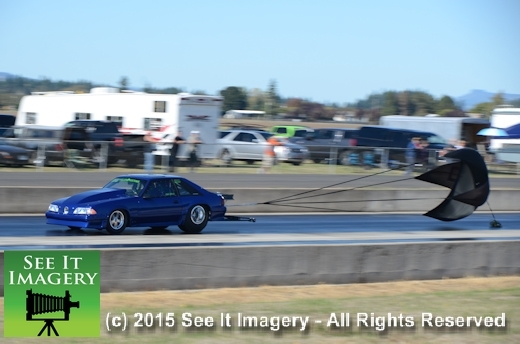 Close on some events but never like this. 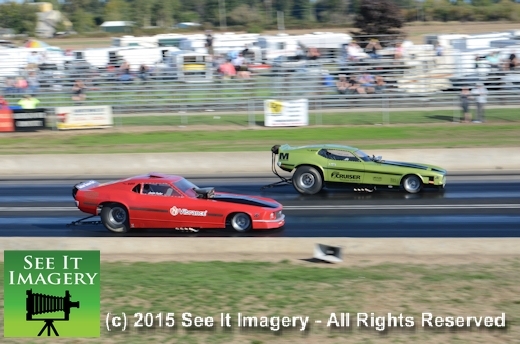 Watching the creations from the past years with updated safety is a genuine thrill plus throw in the wild creations the Pro Mod people come up with is somewhat akin to the altered runners from years past. 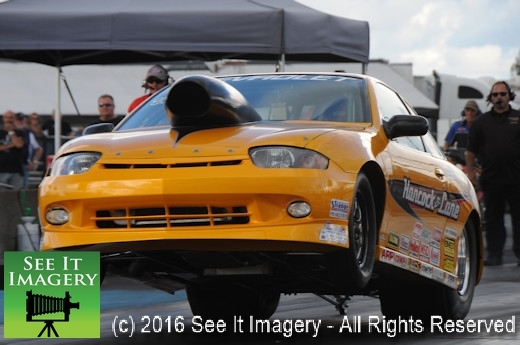 The racers that compete in the 10.5 class is another range of possibilities for racers to play with and trying to control all that horsepower on a ten and a half inch wide slick is why they only race to the 1/8mile. 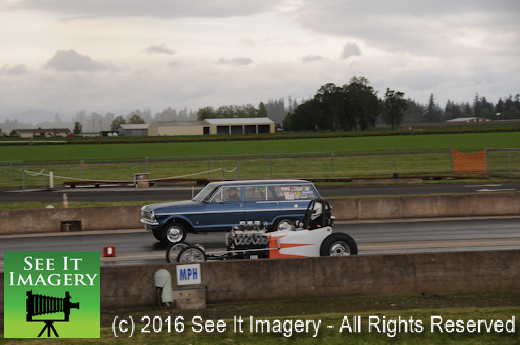 Way too much speed and power beyond that point, safety is most important but they are fun to watch at that distance. 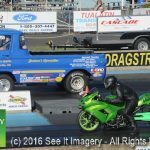 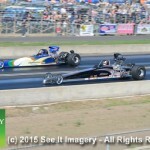 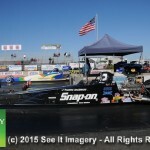 For those at the track on Sunday the chance to see a third generation test his dragster for a Bakersfield event coming up. 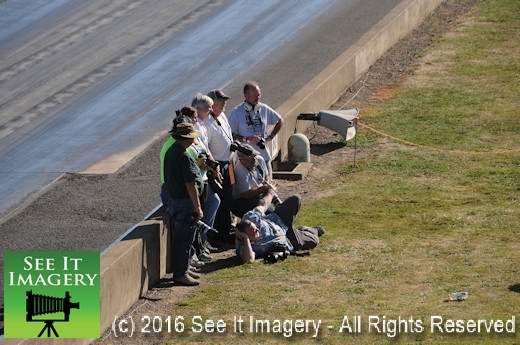 Walt Austin, his son’s Pat and Mike here to oversee and crew for Pat’s son Drew to make some passes. 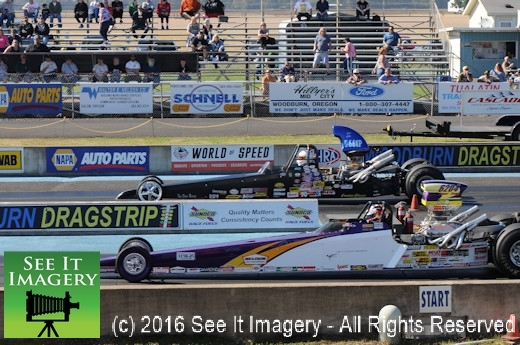 The awards, accomplishments and accolades this family is way-way more than I have space for both on a national and local level in the sport of drag racing. 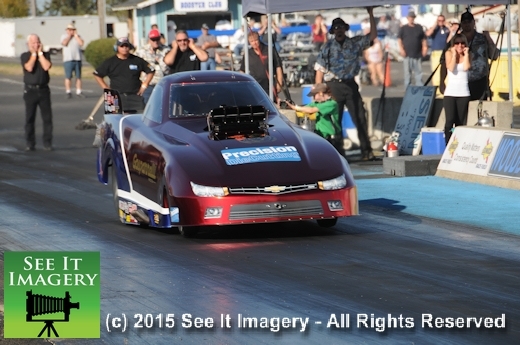 Great to see them out as a family racing again, Good Luck in Bakersfield. 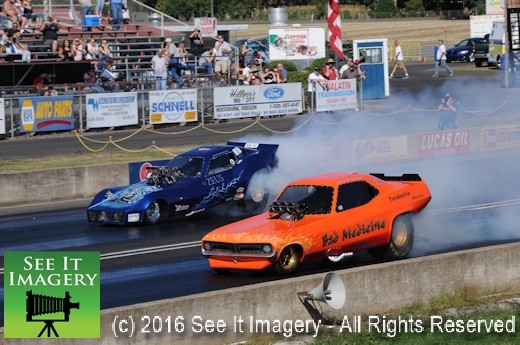 In a two for one win Dale Green picked up both the race event and by winning he also grabbed the season championship for the Northwest Super Comp Assn. 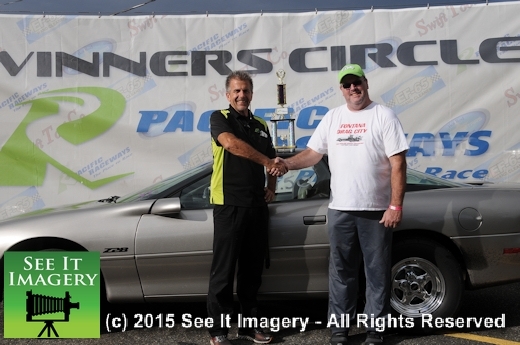 When you have to win to win Dale shows what it takes to do so, congrats to you. 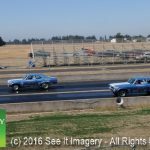 Images are broken out into four albums – an “A” & “B” Series for each day of this two day event Click here to go to the four albums – lots of great shots! 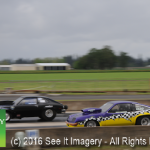 Two States, Two Tracks, 3 Events – Busy Racing Weekend! 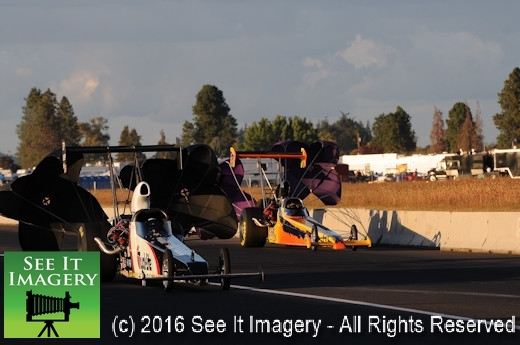 21 Sep 2015 Kent, WA & Woodburn, OR – Two states at two tracks and three completely different events. 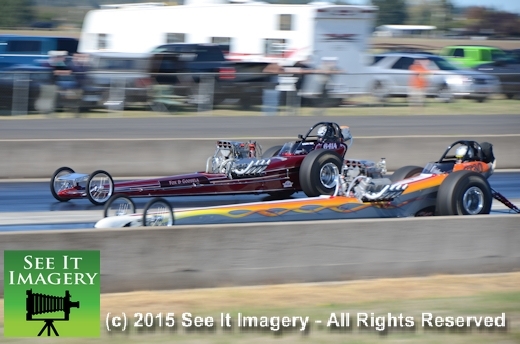 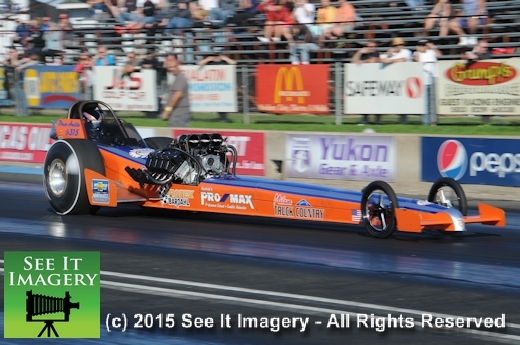 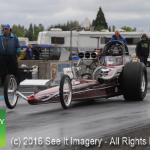 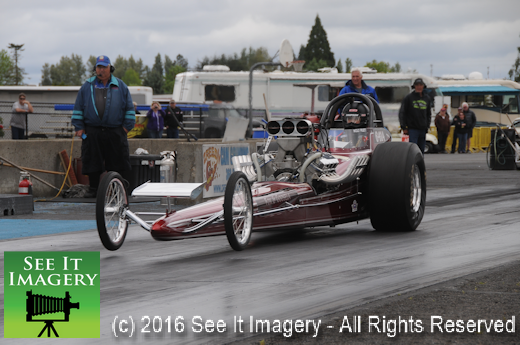 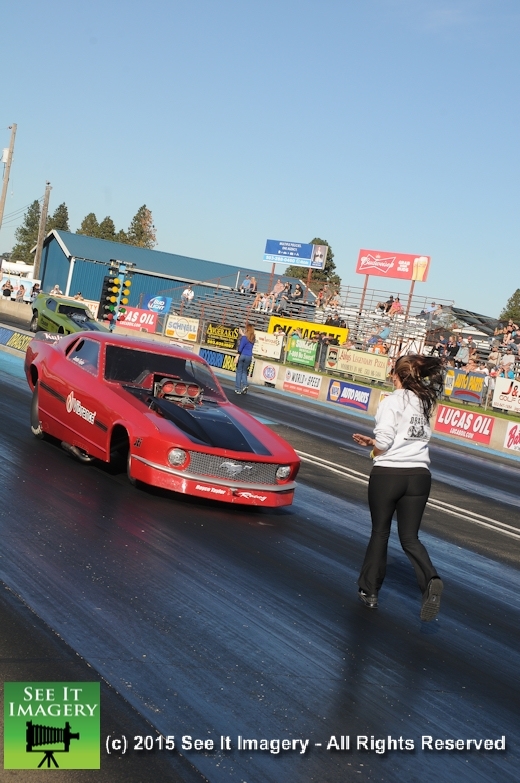 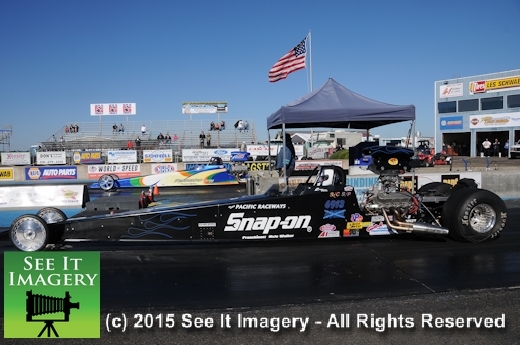 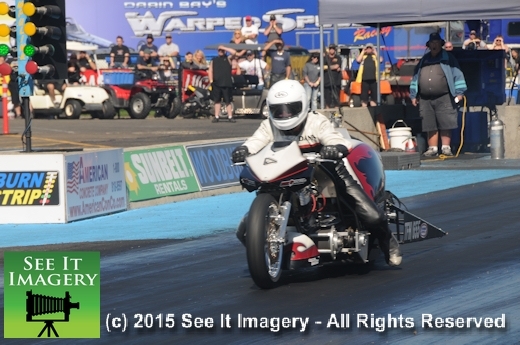 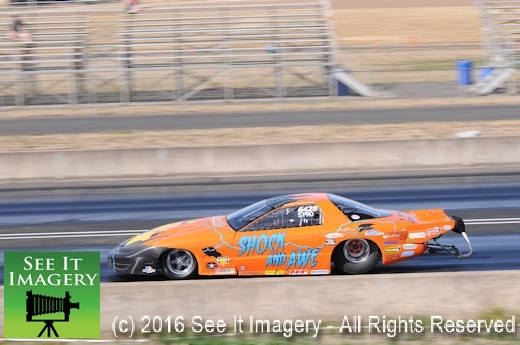 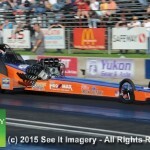 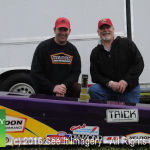 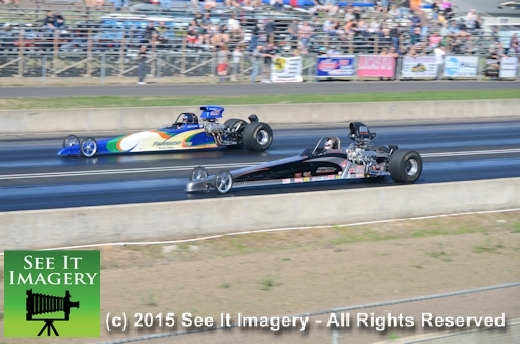 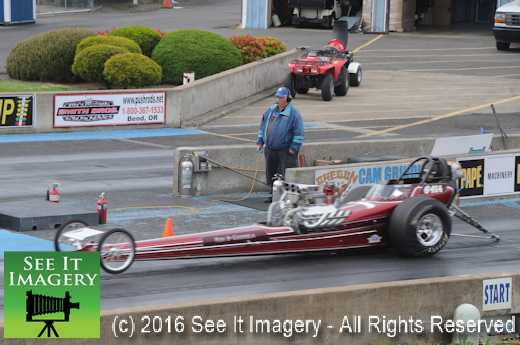 It all started Friday in Woodburn, Oregon for the first day of the last NHRA LORDS for Division 6 race for 2015. 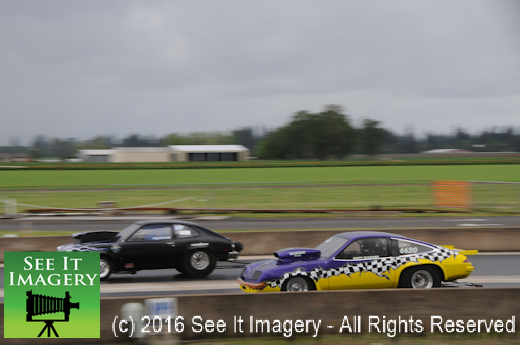 Fog surrounded the track but left the track bathed in sunlight for great racing conditions. 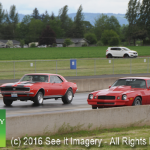 It is always great to see those who take part in the divisional events as the yearly visit to Pacific Raceways is the normal and Woodburn is a treat. 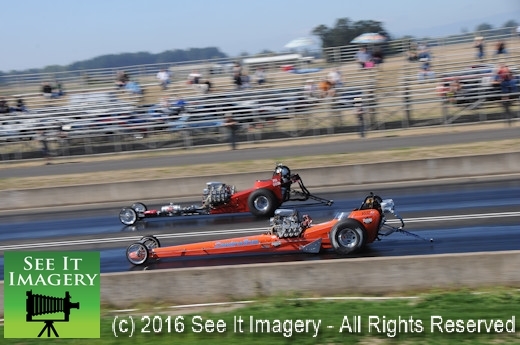 Now working with Breann to expose her to the other tracks in the northwest and expand her natural talents was great to watch, she says thanks for teaching but you cannot teach what comes naturally. 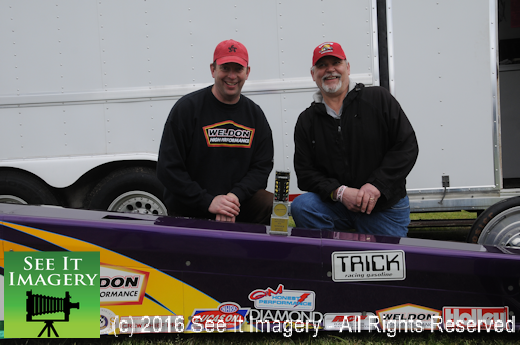 Have to also say thanks to Jay and Joey for their help and to the Division 6 crew as it is always fun around them. 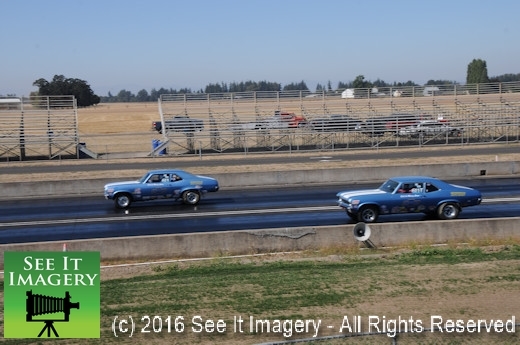 Event pictures are laid out in two albums, make sure and check both, as there are many images from a number of different vantage points. 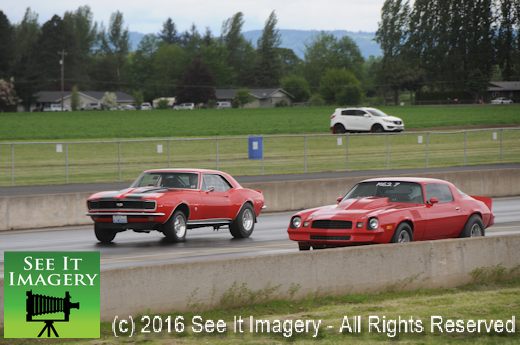 For Event Folder with Two Albums For 2015 LODRS at Woodburn – Click Here. 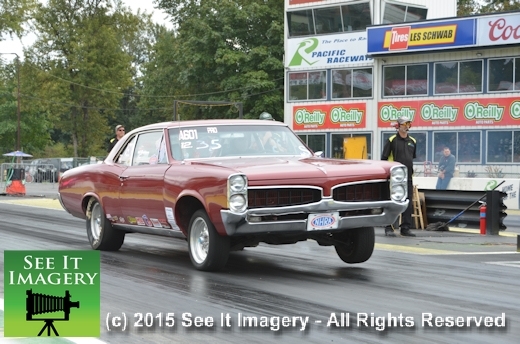 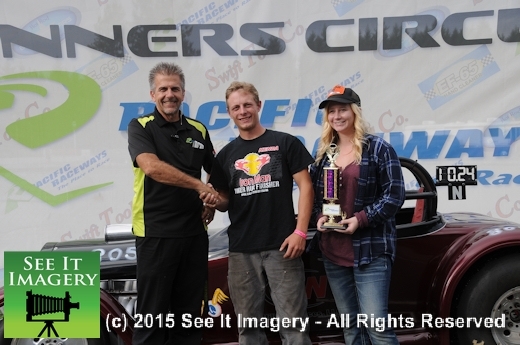 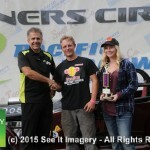 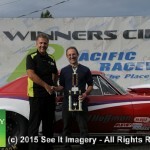 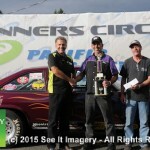 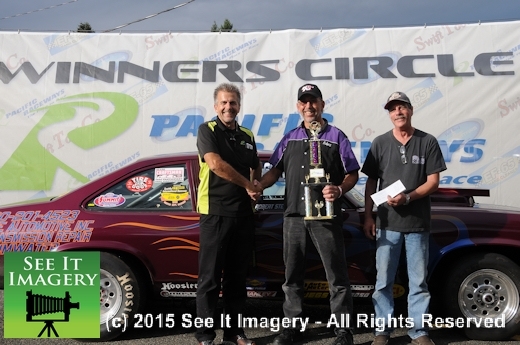 It was back to Pacific Raceways for the GM Nationals on Saturday. 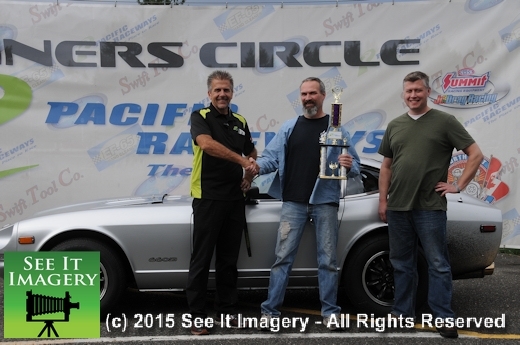 If you had GM anywhere on your ride it is fair game for this event, held yearly at Pacific Raceways. 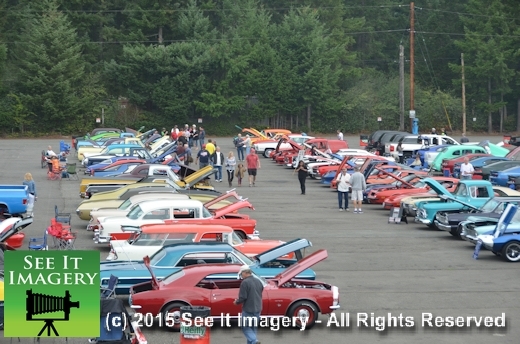 The car show and drags make the day as the custom and pure original GM rides are showcased for each. 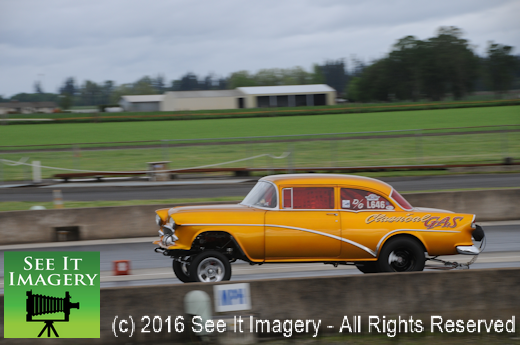 Overcast skies but warm for this time of year made for happy faces sitting watching from the stands or walking the car show. 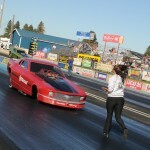 Back where she is happiest Breann went about what she loves to do, create with a camera and getting it to see what she is at that moment seeing. 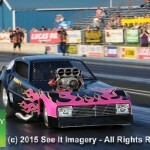 She does amaze me with her creativeness as she is getting more exposure with the camera. 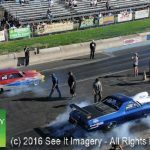 The four classes drew nearly 120 competitors to the strip for a run at the trophy and of course bragging rights for their GM Nationals win. 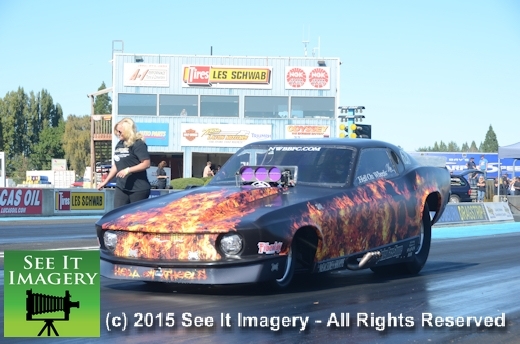 Six rounds in Hot Rod saw Robert Steffen go closer to his dial to edge John Schwaller. 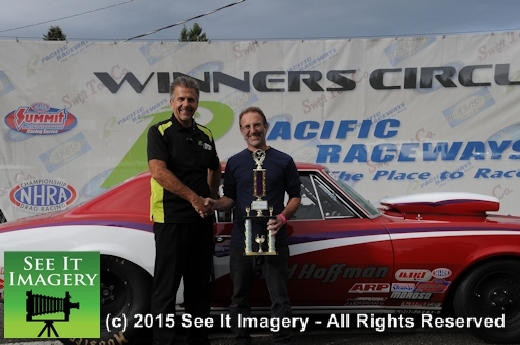 In the Street DOT class Eric Brittion got the win over Pacific’s HS champ Patrick FioRito. 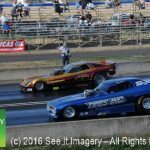 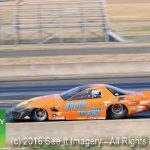 Running too quick in the Electronics class Josh Hughes added another win to Fast Freddy Hoffman and his vast collection of hardware from Pacific/SIR. 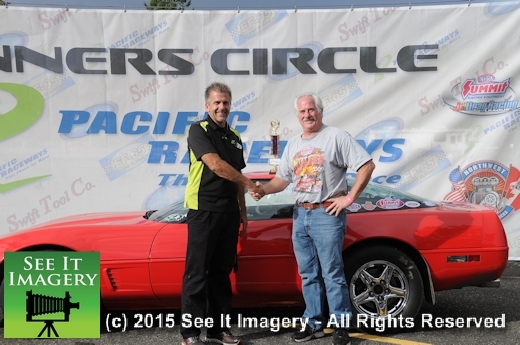 A much better reaction time put Rich Chase in the winner’s circle over Bill Sallia in LS/LT class. 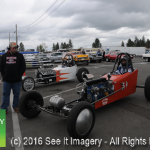 T was a great day all around as the growth of the event keeps growing as the word spreads. 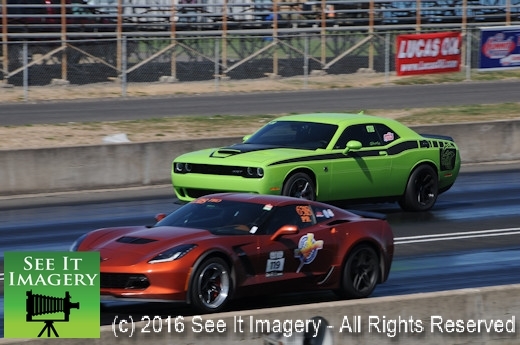 Ending the 3 events weekend was the Silent Thunder event – is as it says “silent”. 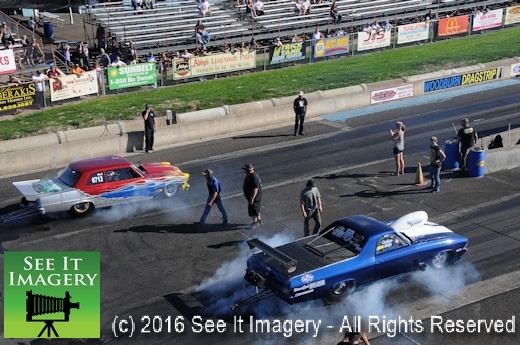 Though not quite true as these electric powered cars can do a tire smoking burnouts and the “guttural” sound the cars hit the power is very distinctive. 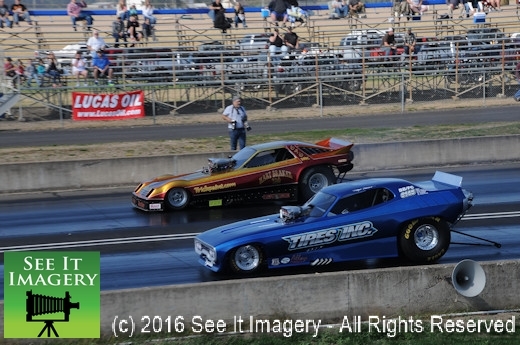 I had never heard a Tesla on the streets punch the power but the traction grip that the dragstrip crew provides for all races has to really test these power plants. 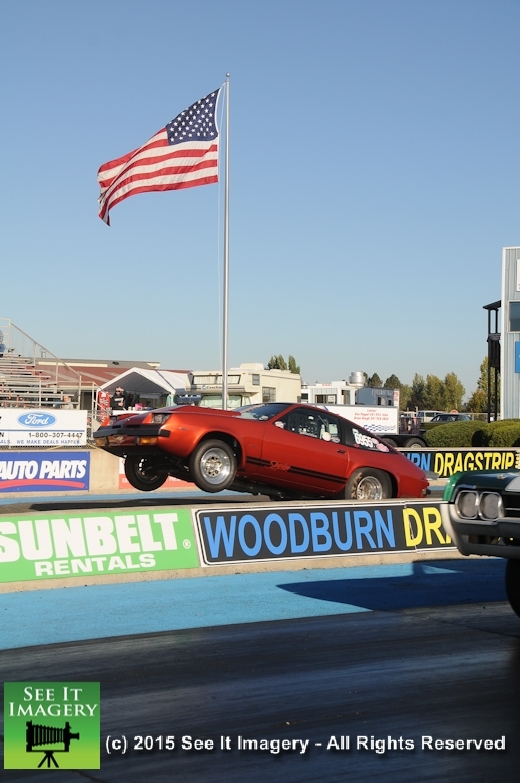 Are these the highest powered electric cars moving up in the world? 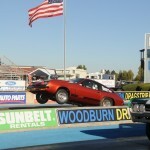 The improvements that have been made and the innovations of others may prove to be on the right track for the future. 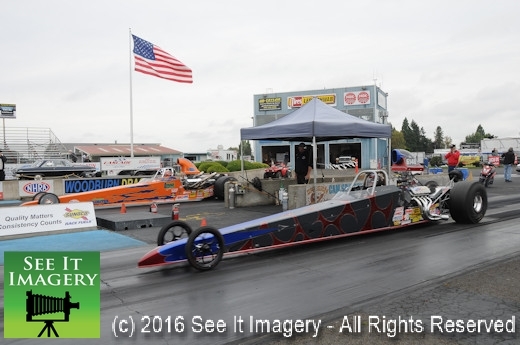 2015 Silent Thunder Images are now available – to go to the album, click here. 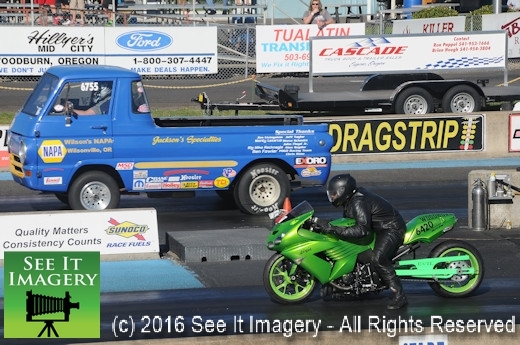 Doing this event solo but with Breann on site working the social media aspect completed three days and three totally different events for a change from the norm and the smile I ended with trying something and seeing the what the student is teaching me. 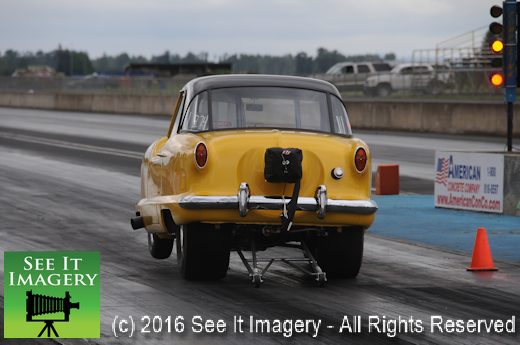 Images from all three events are now available – we thank you for your continued support and purchases!